As far as weeks go, this one was a doozy for Microsoft, as the company launched the Office 2013 preview, released its final fiscal quarter’s earnings for its year, and endured a number of leaks. We’re going to hit the highlights, but for the full blast, wander over to the archives. Now, double-check that you are following TNW Microsoft on both Twitter and Facebook, and let’s get into the news. Microsoft lost money last quarter, when that massive $6.2 billion write down was included in its calculations. That was a first, ever, for the company. Now, Microsoft’s business divisions churned out cash as they do quarter after quarter, but nothing could staunch a write down of that magnitude. The company lost $0.06 a share with the write down taken into account, and earned $0.73 if not. So, depending on how you look at it, the company either had a great quarter, or a terrible quarter. Both statements are, in a sense, true. 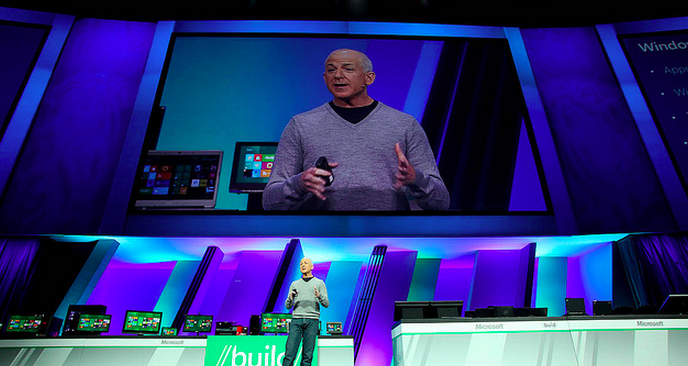 One measure of Microsoft’s health: it generated over $7 billion in cash during the quarter. The company had revenues in excess of $18 billion. So, here’s to what comes next. Microsoft, we’re all going to sit down and wait for the show to start. In the world of Microsoft watching, Mary Jo Foley is among the very best sourced. This is a source of vexation for the rest of us, but it can’t be denied. According to one of her little birds, Windows Phone 8 isn’t going to become generally available (GA) until November. Yes, one scant month before the holiday sales finale. Here’s the rub: the software won’t be complete until September. That’s cutting it close. If there are any real delays, the GA date could move back. But where, is the question, as Microsoft is already expecting to have new phones and the new code launch at the very last possible minute. So, if there is an issue, Microsoft really has no margin to burn. Still, if the company manages to hit its marks, it will have just enough time for one massive advertising push. That could work. Alright guys, you know what’s up: Office 2013 was announced this week, and you can download it your own convenience. TNW’s view is simple: Some of this is good, but some of it is quite ugly, surprisingly. Office 2013 feels like it’s going to become like Office 2007: the awkward stepping stone that is needed to get to a high point, such as Office 2010. Get the software, play with it, and come to your own conclusion. To be frank, we had no idea what to expect. Polling is a great way to catch the temperature of the masses (us). So, it would seem, that among technology enthusiasts (all of you), Windows 8 has a slight edge; folks are looking to get onto it when it comes out. That has to be music to Microsoft’s ears.